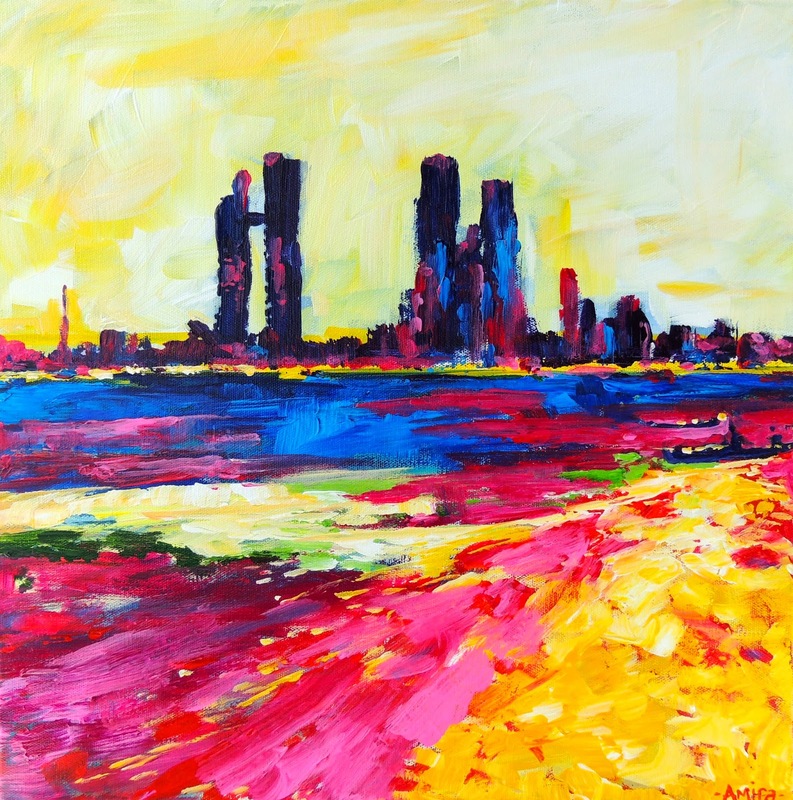 This painting was inspired by the Abu Dhabi scene and it’s one of my favorites of 2014. I have been experimenting more with abstract expressionism and abstract art in general. I think what I like about abstract art is the fact that it can represent many ideas, places, and subjects at once. If I were to paint in a very realistic way, the fruit will always just be the fruit, the landscape the landscape. Some people don’t really like abstract art mostly because they say they “don’t get it,” that it’s not about anything. But that’s just it. Abstract art is about everything. I’m finding my inspirations and desires to be far more abstract these days and I think it’s showing up on my canvases. I can’t wait to see what this year has in store for me. I’ve also been creating more non-representational work as you can see from my Instagram gallery. I love what I’m creating these days and I hope it touches a few people out there.